For years, John Pollock and Wai Ting were known to wrestling fans for their work on Live Audio Wrestling, The Fight Network, and a popular podcast series that reviewed weekly wrestling shows. 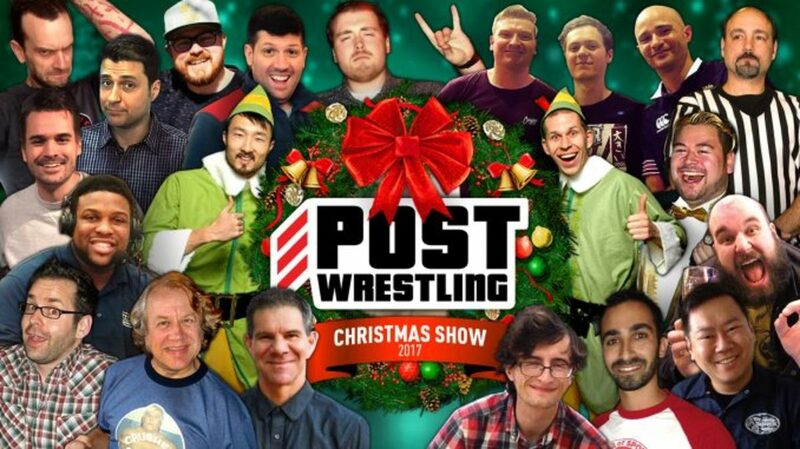 In late-October, the two were laid off from The Fight Network but instead of folding into corporate life and podcasting as a hobby, the two developed POST Wrestling over the past two months, part free and part funded by Patreon -- now with over 800 people funding their operation at a minimum of $6/head. On the latest Josh Nason's Punch-Out, Pollock answers all the questions you have about the story behind the launch, the decision to enter into the paid content realm, whether the LAW show will come back in their new endeavor, whether he'll cover MMA, and plenty more. Then, the guys talk for about 15-20 minutes about MMA going into 2018 and some high-level thoughts about Saturday's UFC 219 show. It's the final JNPO of 2017 and it's free for you to listen to. Happy New Year!